Investors have many different tools with which to judge companies. Most of these tend to focus on financial metrics, such as revenues or earnings. Sometimes, we analyze non-numerical things, such as a company’s competitive moat, or the quality of its management team. However, investors rarely consider how content a company’s employees are. And, arguably, that’s a big mistake. At the end of the day, a company’s workforce is one of its most vital assets. Particularly for businesses that interact heavily with the general public, having an upbeat and welcoming group of employees can be a hugely underrated asset. 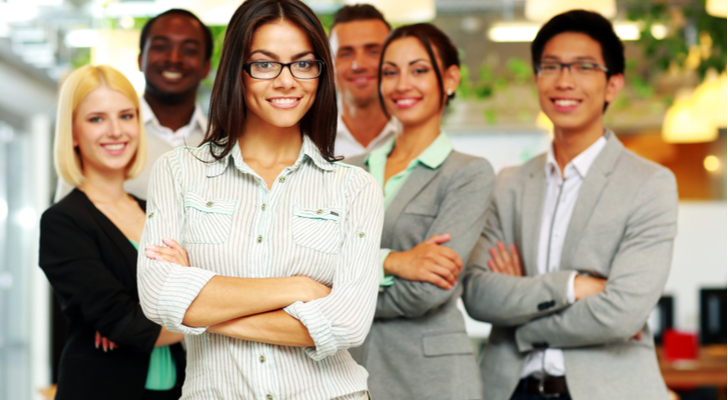 Happy employees are great for your brand. They also tend to cut down on more hidden costs, such as severance, employee training, compensation for safety accidents and other such expenses that pile up when workers are dissatisfied and frequently leaving your firm. With that in mind, here are five stocks to buy for happy employees. Our first stock gives a good example of the benefits of a content labor force. Have you ever wondered why people rave about shopping at Costco (NASDAQ:COST)? It’s a little strange that folks get so excited to buy large quantities of basic goods in rather drab industrial-looking buildings. What is Costco doing differently than less favored big-box retailers such as Wal-Mart’s (NYSE:WMT) Sam’s Club? I’d argue that Costco’s employees make the difference. Whereas employees in other big chain stores tend to seem aloof and unmotivated, Costco makes you feel more welcome. Presumably, employees have that extra drive thanks to generous renumeration from the company. Costco offers employees a $14-an-hour, company-wide minimum wage and pays more than $22 per hour on average. That’s a huge figure for a retailing company. Indeed’s recent survey of workplace satisfaction also showed employees appreciated other aspects besides the base pay. Costco is known for having great benefits including generous vacation pay, and it promotes heavily from within. You can make a good argument that Costco’s superior team of employees has been a defining reason why its stock has crushed most other retailers over the past 25 years. The Indeed survey specifically mentioned Berkshire Hathaway (NYSE:BRK.A,NYSE:BRK.B) subsidiary Aflac as one of its best places to work. While Aflac is known for its humorous advertising, apparently it has also set itself apart from the competition by treating its employees well. That’s a trait that runs broadly across the Berkshire Hathaway set of companies. Warren Buffett has built a reputation as a hands-off manager who likes to acquire private and family-run companies, and let them keep operating largely independently. Buffett values company culture, and unlike many buyers, Buffett doesn’t gut companies to save money after purchasing them. This respect for employees has paid Berkshire Hathaway many dividends over the years. Buffett is often able to buy companies for less money than other suitors would have to pay, as potential sellers know they’ll get a strong and trustworthy partner by selling to Buffett. It’s a classic example of paying more in the short run to elevate your reputation to a far higher level over the long haul. The results for BRK.B stock over the decades speak for themselves. 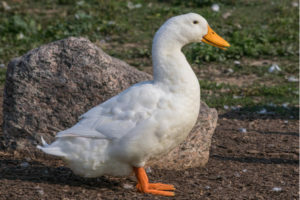 Like Aflac, Capital One (NYSE:COF) is another large financial corporation that interacts with thousands of customers every day across its multitude of branches. In fact, Capital One is now one of the nation’s 10 largest banks. In the competitive world of big banking, any edge can help in terms of attracting and retaining customers. Capital One has chosen to give its employees generous benefits as part of its effort to distinguish itself from rival banks. And the approach appears to be working. COF stock has reached new all-time highs after the financial crisis; that’s an achievement that many other banks still haven’t managed. 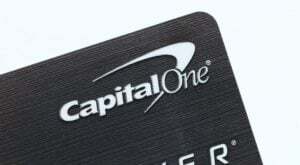 What sets Capital One apart? According to Indeed, the company offers particularly generous health and wellness benefits. These include 18 weeks of maternity leave and assistance with adoption services, for example. One employee that Indeed quoted said that the most difficult part was, “taking advantage of all the benefits.” That’s not a bad problem to have. With the stock trading at just 7x earnings, Capital One is clearly doing well enough to reward both its shareholders and employees generously. Trucking and transportation isn’t the first area you’d probably think of when trying to find companies with particularly happy employees. But give FedEx (NYSE:FDX) credit for topping expectations. The popular conception of a truck driver is a lonely, difficult, and stressful life. Listen to someone like Democratic presidential candidate Andrew Yang talk about truckers, and you’d think it were one of the worst jobs in the world. Yet, FedEx is able to keep its employees happy. It has done so, in large part by offering generous benefits to its employees. Importantly, it offers these benefits even to its part-time staff. That’s a huge motivation for workers in an age when so many companies intentionally refuse to give employees 40 hour weeks precisely to avoid paying benefits. As a potential shareholder, you might think this sort of largess would weigh too heavily on the bottom line. But it hasn’t. Over the past 10 years, FedEx has managed 8% annualized revenue growth, and incredible 21% EPS growth. It turns out that treating your employees well can in fact be a win-win for both them and stock owners. This last one probably doesn’t come as a surprise if you’ve shopped at their stores. But yes, Apple (NASDAQ:AAPL) also made Indeed’s list of the 10 companies with the happiest employees. This is a natural achievement for Apple, as it fits so very well with their status as a luxury brand. Apple is able, in large part, to charge higher prices for its products because of the brand. An Apple product is an aspirational one. People keep buying Apple phones habitually, regardless of the cost and comparisons to competitors’ products, in large part due to this effect. And a big part of that comes from keeping Apple’s reputation spotless. Apple helps achieve this by making sure its employees are delighted to work there. 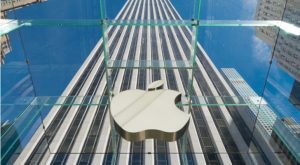 Like others on this list, Apple offers extremely generous benefits, the most appealing of which may be its policy of giving nearly a month of vacation days every year. American companies are notably stingy with vacation days, as opposed to European and Japanese firms. This difference gives Apple a key competitive edge in finding and retaining the best employees against stiff competition across the tech industry. At the time of this writing, Ian Bezek owned BRK.B and FDX stock. You can reach him on Twitter at @irbezek. Article printed from InvestorPlace Media, https://investorplace.com/2019/03/5-stocks-to-buy-for-the-happiest-employees/.